In this episode of the B2U Podcast, SBA representative, Levi Kinnard gives tips every business owner should know about how to get a loan with the SBA. Joseph: Hey listeners. Thanks for tuning in to the B2U Podcast brought to you by cbrbiz.com. I’m your host, Joseph. And as always, our goal is to bring business resources directly to you. Today, we welcome our SBA representative for the Charlotte office, Levi Kinnard, back to the studio to actually talk about SBA loans. Levi, great to see you again. Levi: Thanks for having me. Joseph: So Levi, last time you were here, we talked about federal certifications. But today, we’re going to discuss something that all small business owners are faced with and that’s financing. The SBA is known for some great loan programs. Can you give us a quick rundown of these programs, and how they’re kind of unique? Levi: Absolutely. And as we discussed last time, a big portion of what SBA does is run these certification programs. While the other big portion of what SBA does, and is probably more known for is, its loan programs. It’s a major, it’s probably one of the most prominent lending programs within the United States. Annually, I think we do upwards of 30 billion dollars in small business financing. Here in North Carolina alone for the last 2 years, we’ve exceeded 800 million dollars for North Carolina small businesses. Now, the way this works is, is we don’t actually give the loans. We guarantee the loans to commercial banks and non-profit organizations that I’ll discuss a little bit later. But, what you’ll do is you’ll take a loan application to a bank. They’ll do their due diligence, identify if they can give you the loan traditionally. Without the SBA guarantee, you don’t represent much risk. But if you’re not so much risk that they wouldn’t give you the loan even without the guarantee, if you’re in this risk tolerance margin, they can reach out to the SBA and we will guarantee the loan. Now we will guarantee 85% up to $150,000 in the general 7(a) loan, and we’ll guarantee 75% of that loan up to a cap amount of five million dollars with a total loan guarantee amount of 3.75 million dollars. And it’s a heavily utilized program. It’s done a lot for small businesses throughout the United States, and we’re pretty proud of it. I want to get the word out there about it. Joseph: Makes sense. Talking big numbers, because up to $5 million, you could be a pretty successful business with a loan like that. Joseph: So you did mention the 7(a) loan. Are there different types of 7(a) loans? Or, can you tell us about each of them? Levi: The loan programs within the SBA kind of fall into two categories. We have the 7(a) loan program, which has a number of different subprograms. For instance, you get cap lines, a line of credit from a bank. You can get community advantage loans. There is international export loans. You can get SBA express loans. Several different sub 7(a) program loans. And then, we have the 504 loan program, which mainly revolves around the purchase or construction of a new facility. You can purchase land, or you could build a new building for your new business, or purchase one. Joseph: Okay. So, what type of businesses are eligible for these programs? Levi: So, first of all, you have to be an operating business, obviously. You have to be organized for profit. One big misnomer is that the SBA will loan to nonprofits. We do not. However, the federal government does have a program that does help fund nonprofits through grants. Now, if someone is looking for a grant for a nonprofit, you can go to grants.gov and find a grant that’s kind of in line with what you’re providing the community. You have to be located in the United States. Foreign-owned entities do not qualify for an SBA loan. You have to demonstrate the need for a guarantee. As we spoke earlier if the bank does the due diligence on the loan and finds out that your financial status is strong enough that you don’t represent any real risk and they’ll give you the loan through the traditional route, you won’t qualify for a guarantee from us. We will only guarantee loans where the business owner could not obtain credit otherwise the loan. And a couple other things is you have to be considered small. And what I mean by small is the U.S. government bases the size of a business on their NAICS code, the North American Industry Classification System code. Each NAICS code, for instance, if you’re in construction it’s 236220. They just follow industries by numbers. Each industry has a size standard associated with it. For construction and service businesses, it’s a dollar value. For manufacturing businesses, it’s an employee count. So, you’ll have to make sure that you’re small underneath your NAICS code. And lastly, to be eligible for a loan, you cannot be engaged in prohibited activities. For instance, gambling, illegal activities. You cannot use these funds for investment. For instance, you could not go purchase a commercial building and then rent out the space. This is for businesses that need to purchase inventory, things of that nature, to keep themselves going. Joseph: Okay, it makes sense. And that actually drives me to my next question because you said if you needed to buy a building, you needed to buy I guess materials and inventory and things of that nature, outside of those, are there any other things that the loan could be used for? Like making sure that you’re, I guess, managing your cash flow between payroll and things of that nature? Or is it like earmark specific? Levi: Yes, absolutely. So, I think in addition to making sure that your facility meets your business needs, if you need to expand or purchase a building or build a building or anything like that, you could decorate it, fixtures. If you need to do leasehold improvements if you’re leasing your building. The working capital is what I think you’re alluding to, which is what allows you to operate to make sure that you’re meeting your financial obligations on a monthly basis. That working capital, that cash flow, in general, may be the leading crasher of businesses out there. We do help with that. Levi: …everything. If you’re not able to make those obligations and you run out of cash, you’ll go bankrupt. That’s what these cap lines are used for. In addition, you can purchase inventory if you’re in a business of that nature. Joseph: Okay. So, you mentioned that these are guaranteed loans. Does that mean that anyone could get this loan? Or, what type of stipulations are they looking for? Levi: Not everybody will qualify for a loan, and a lot of your ability to qualify for this guarantee, it’s really at the bank’s discretion. They’re doing the due diligence on their side. This is their profession. If they evaluate your business and you represent too much risk for them to take on, they will not give you a loan even if we guarantee the loan. One good fact that I’d like to state about this is that the SBA guarantees a substantial amount of money every year to businesses throughout the United States. We only have a 3% non-repayment rate, which means that of the loans that we guarantee, 97% of those are repaid. So that’s a good indication that the banks are doing their job and the SBA is doing their job on their side to make sure that these loans are being guaranteed to quality businesses. Joseph: Makes sense. Now so, I guess in the process of applying for the 7(a) loan, banks are looking at your personal credit score, your business’s credit score. Are they expecting to see a business plan, what you’re expected to use? Do you know of some insight into what they’re actually looking for? Levi: Absolutely. All of those things. Probably the most important factor that can be discussed and one of the most defining factors if they’re going to give you a loan is your cash flow. They need, most commercial banks are going to need to see at least two years of cash flow in your financial statements that shows that you can sustain yourself and your business, and your ability to repay the loan. They want to know that they’re in first place to get repaid. So, cash flow is probably one of the most leading factors. You have to have a feasible business plan as you just alluded to. When you present your financial statements, they’re going to be able to see from the past how successful your business has been. You’re also going to have to submit something that shows projections. These projections have to be believable. They have to be feasible. And so, if they’re not, you’re going to represent too much risk. If they’re reasonable then you’re going to mitigate the risk in their minds. You also have to show that the business has the management expertise and commitment to operate that business successfully, that you’ve been doing it before. You have past experience in this industry. You’re going to have to submit resumes of most of the directors within your business. They want to see that you have the knowledge base and expertise to run that business successfully. They also want to see that you have an adequate investment of equity from your own finances in this business, that you have skin in the game, as they say. Also, they want to see that you can collateralize the loan. Usually, they want to see that you can fully collateralize the loan. But if you can’t, it’s not a disqualifying factor. But I will say this. Whatever you purchase with the loan, if it’s a capital asset, they’re going to collateralize that asset. They’re going to collateralize all the other business assets that you have, and then they can also go into your personal assets as well. Joseph: Okay. Like if you’re buying a building, that’s collateral at this point until the loan is paid back? Joseph: So, how can businesses prepare to apply for a 7(a) loan? Does SBA offer any programs, coaching, anything like that? Levi: Absolutely. So, we fund several different counseling organizations, namely SCORE, the Small Business Technical Development Centers, the Women’s Business Centers, and the veteran business outreach centers. Each one of those can help you prepare a loan. One of the most prominent ones would probably be SCORE. They have business plan templates. A lot of the counselors or the mentors within the SCORE program have financial backgrounds. They can help you, absolutely free-of-charge, put together a loan application that’s attractive enough to incentivize that bank to give you that loan with a guarantee. Joseph: Makes sense. Because you also said like cash flow projection, so you may need your accountant, a couple other people to help you pull all this information together. Joseph: If it’s not just what you normally do. Joseph: Okay. So, this is a lot of great information. Is there anywhere that people should go to find out some of these resources on their own? Levi: Well, you can always go to sba.gov. Very easy website. It’s been completely made over. On there, you can find everything about our loan programs, about our certification programs. You can find local assistance. Any of the counseling programs that I just mentioned, you can go on there. Get on their map. Find one that’s near you. You are serviced by someone. But that’s probably the main resource that I would send people to would be sba.gov. Joseph: All right. Well, that does it for today’s episode with SBA’s Levi Kinnard. Levi, thanks so much for joining us again. You’ve given us so much incredible guidance for understanding and navigating the loan process with SBA. 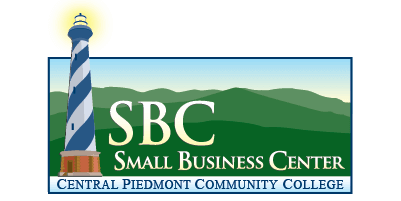 Listeners, for more information about the programs discussed today, visit sba.gov. Once again, I’m your host Joseph, and thank you so much for joining us in this CBR’s B2UPodcast. where we bring business resources directly to you. If you have any questions about our discussion today, feel free to tweet us @cbrbiz. Until next time, we mean business.